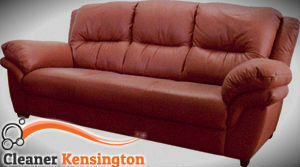 If you are looking for a professional upholstery and leather sofa cleaning company for your home in Kensington, we are exactly what you need. Our company has several years of experience providing its customers with the best cleaning packages at the lowest prices. We are a reputable partner for both residential users and businesses and we constantly expand our reach among London customers. Our cleaners are not only equipped with the best tools and detergents, but are also skilful enough and have all the necessary knowledge in order to deal with various damages on your expensive leather furniture. 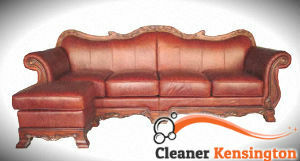 We are a licensed provider of high-quality leather sofa cleaning services in all London areas. So, if you live or hold a business in W8, make sure you call and book us today. We can guarantee excellent results thanks to our qualified and hard-working teams of cleaners who always give their best in order to bring maximum satisfaction to our clients. Our experts will take into account the overall condition of your leather furniture, as well as your personal needs and requirements before getting the job done. So, your leather sofas will not only be perfectly cleaned and sanitised, but will be restored in its shiny and lustrous look. We are available for bookings seven days a week, including the weekdays, weekends and holidays. In addition, our customer service representatives are here for you 24/7 in order to make sure you will be answered to all your questions and all eventual problems will be solved quickly.